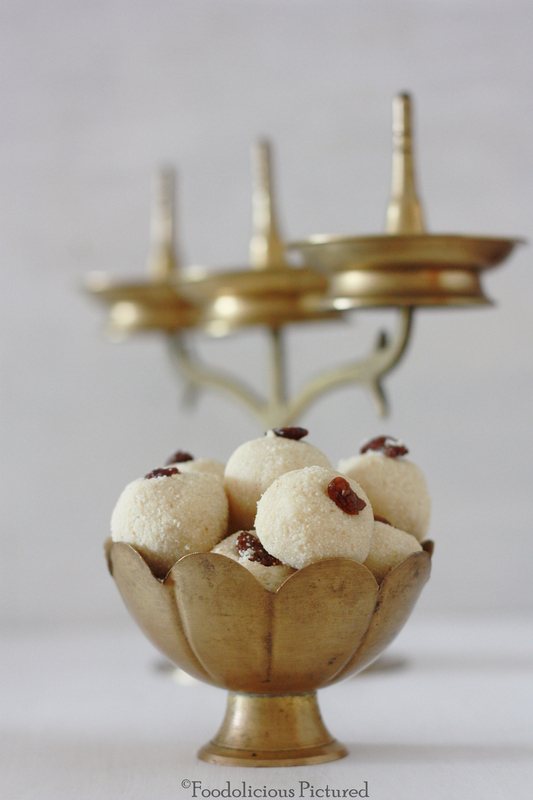 Learn how to make rava ladoos. In a food processor, process the semolina till fine. Heat about 1.5 tablespoons of ghee in wide pan. Add the semolina and roast over medium-low heat till aromatic, stirring constantly. This takes about 5-6 minutes. Turn the heat off and transfer to a mixing bowl. To the semolina, add the cardamom powder, sugar and mix well. Add the ghee and mix well. Gradually add the milk (1 tablespoon at a time) till its moist enough to shape into equal sized small balls. 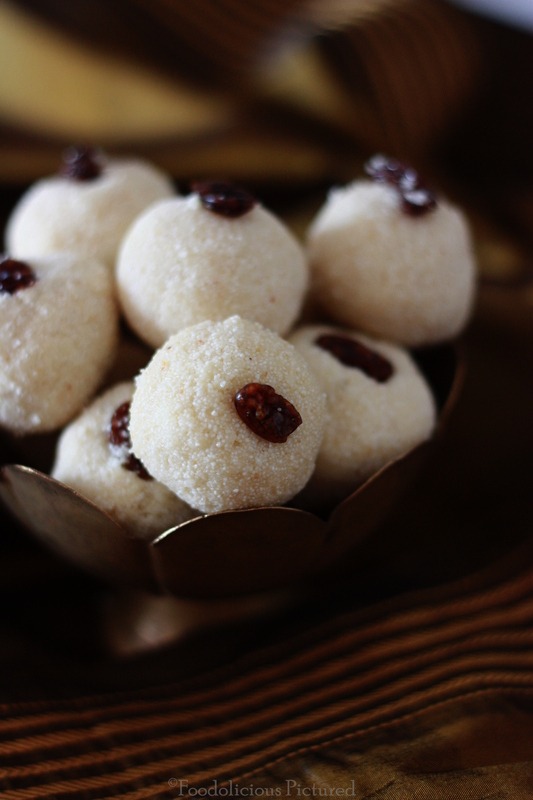 Gently press down the raisins into each ladoo and allow to cool. 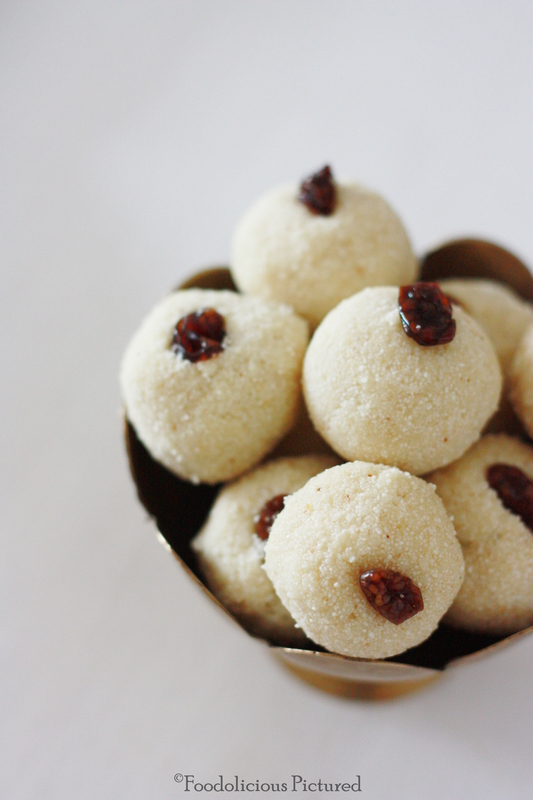 The ladoos will get a bit hard as it cools. You may also add roasted and chopped cashews to the mixture and then shape the balls. 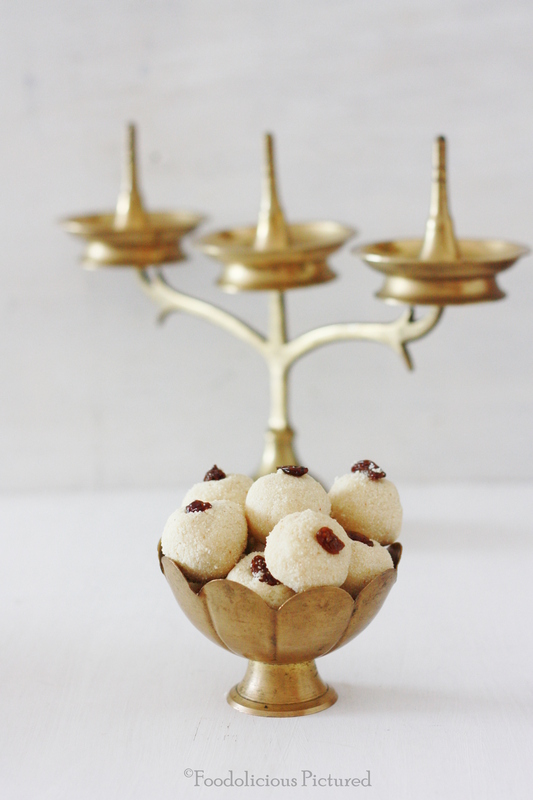 Store the ladoos in an airtight containers and will stay in room temperature for 2-3 days. The Vilakku adds so much beauty to this photograph. Superb.